If you’re a gigging musician, one of your main goals is to draw as many people as possible to your shows. The more people you bring through the doors the better. 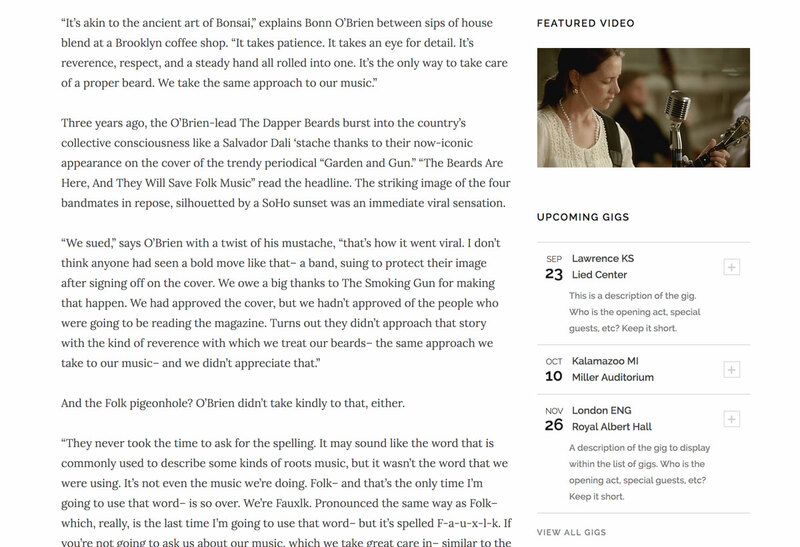 Many musicians provide only basic information on their sites – like where and when they’re playing. This means you’re missing out on the opportunity to get more people through the doors. In this post we’ll cover how to promote upcoming gigs in a compelling way that can lead to more people in the crowd. Let’s start with a few basics. Make sure your list of shows is up to date and included on your site well ahead of a show. While a few folks may land on your site, see you have a gig that night, and pile into the car, they’d probably appreciate a heads up. Give them at least a few days to plan on attending. You’ll want to make sure to leave adequate time for you to cross promote, too. Not to mention, it helps to constantly have upcoming gigs on your schedule when you’re trying to find new places to play. We’ve all known the frustration of getting double booked or receiving bad intel. Make sure you’re not the reason your fans show up in the wrong place at the wrong time. 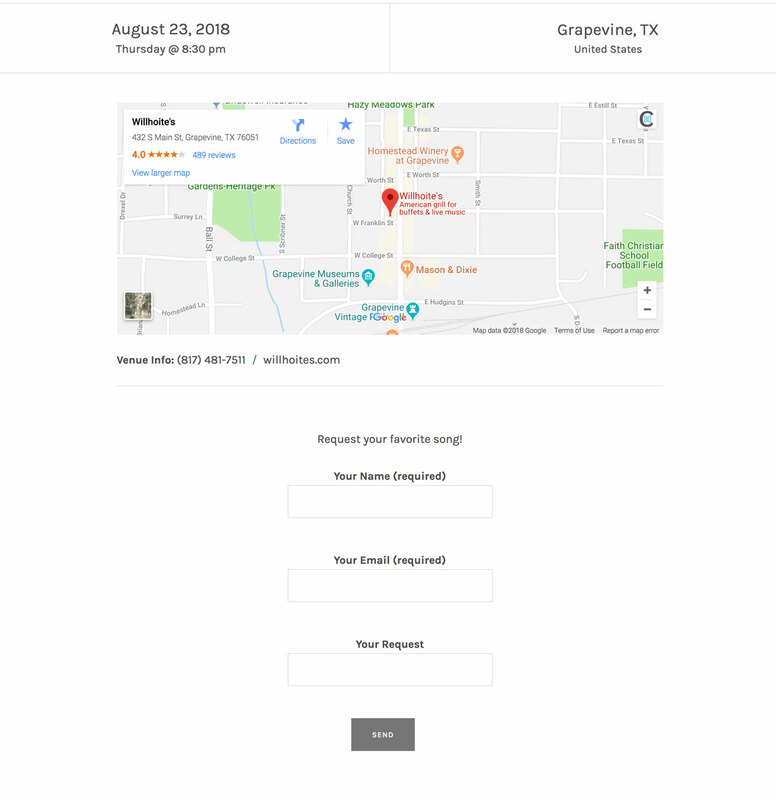 Double check to make sure your dates, times, prices, and locations are accurate. The less information someone has to go searching for on their own, the better, and the more likely they’ll be to come out to your show. You can even give them details about the city, the venue, and special events that may be happening. 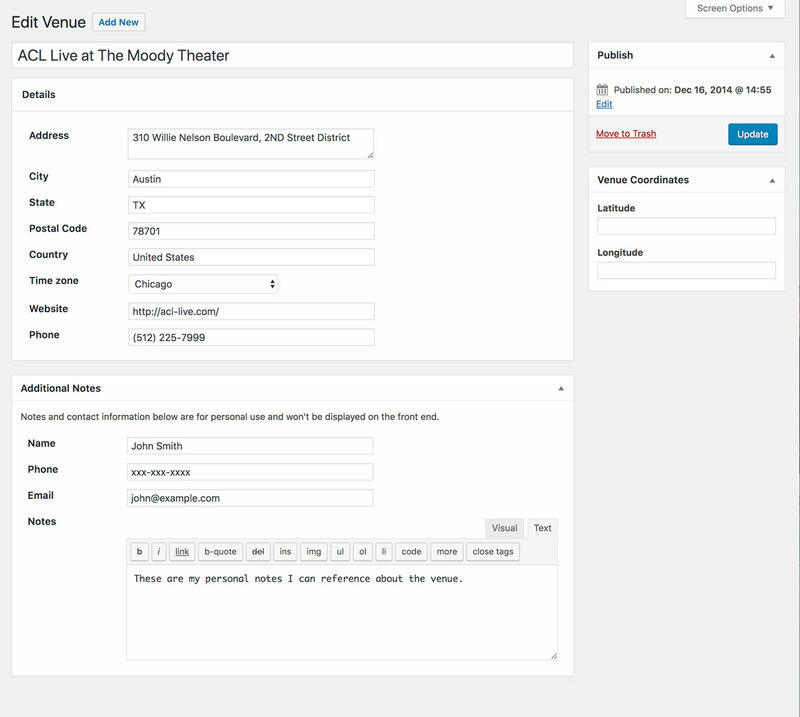 If you are using AudioTheme, you can attach details to each of your venues. That way, whenever you create a new gig linked to a venue, you don’t have to input the data over and over. This includes the address, website, and phone number of the venue. All of which are helpful for someone who is unfamiliar with a particular venue. As a bonus, you can also include private information related to each venue on your website. This can be helpful if it’s been a while since you played at a specific place, or you’ve lost the booking contact’s information. Giving your fans a “say” in what songs you might play can make them feel included and invested in the show before it even begins. You can do this by creating a poll or request form for the gig and embedding it in the description. Don’t just add your gigs to a “shows” page and leave it at that. Make sure you’re including them throughout your entire site. Especially in places like the homepage, the sidebar, or the footer. This will ensure your gigs are seen by everyone who lands on your site. Each AudioTheme gig lives at its own specific permalink. These links can be shared across multiple platforms to drive interest in an upcoming gig. Maybe you want to post on Instagram, or create a Facebook event for the show. Be sure to include the gig’s link in your social posts, and don’t be afraid to ask folks to share. 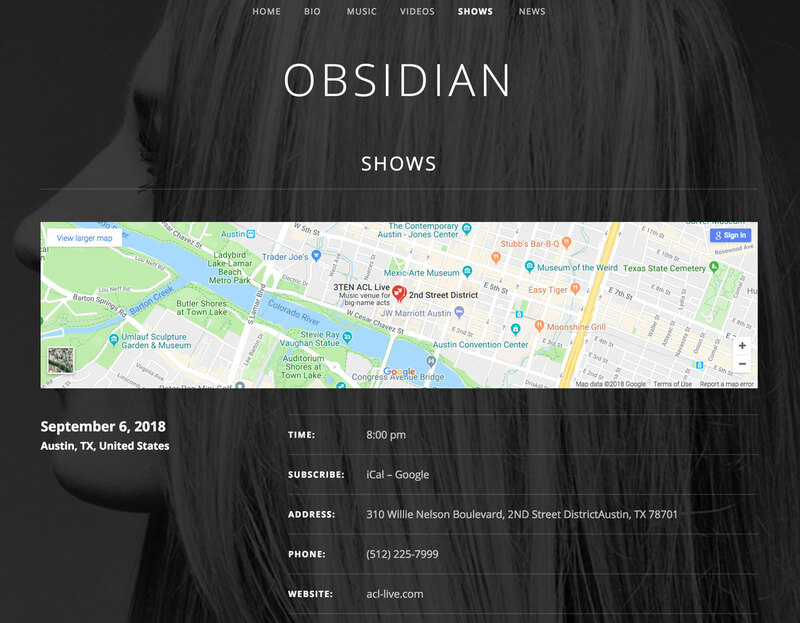 While most musicians do include a list of upcoming gigs on their sites, they don’t go out of their way to market the show. Including more information about your shows can increase your professional appearance, and generate interest that leads to getting more fans in the crowd. 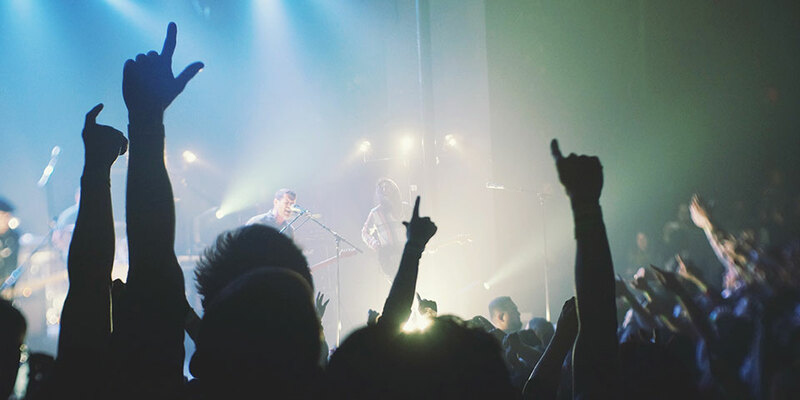 Start using these tips today to promote upcoming gigs and increase the numbers at your next show! Do you have any additional thoughts on what information should be included on gig listings on your website? Share your thoughts with us in the comments!